Not much reading happening, but the week has been great! I found out that I got the job at the Library last week and the final game in a series I’ve been playing since I was 12 released! We also got a snow day but absolutely no snow or ice, perfection. I also changed the look of the blog a bit, as you may have noticed. I think it looks a lot better. Mom & Me & Mom by Maya Angelou – Goodreads – This is my first book by Angelou and my first time really learn anything about her. She lived one incredibly varied and unique life, and it’s so interesting to see how her relationship with her mother really shaped her decisions. I look forward to digging into her other works soon. Max & the Midknights by Lincoln Pierce – Goodreads – This was quite cute and had some pretty decent humor in it. I think those who enjoy Big Nate and Diary of a Wimpy Kid would certainly enjoy this one. It did feel a bit too convenient in terms of plot points at times, but it was fun nonetheless. 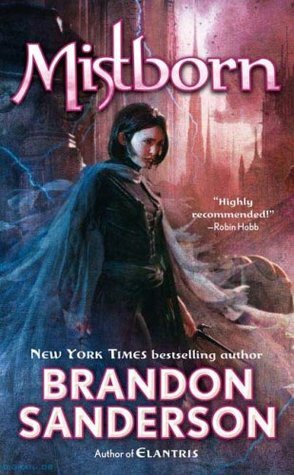 The Final Empire by Brandon Sanderson – Goodreads – This is my book club’s pick for Jan/Feb. I finally started this one, and so far I am enjoying it. It has a really interesting magic system to it. The Traitor Baru Cormorant by Seth Dickinson – Goodreads – I have the second book lined up to go on my Kindle, so I really need to dig into this one as soon as I can. Kingdom Hearts 3 – This just came out today and I started playing it at 1am. I’ve been waiting for this game for a long time, and I’m honestly not sure how I feel about it right now. I have issues with it and I’m a little disappointed that problems that were around a decade ago, are still around. But I’m not far in so, we’ll see how it goes.